The annual return signed by a director or by the manager or secretary of the company shall be lodged with the Suruhanjaya Syarikat Malaysia (SSM) within one month after holding its AGM or in the case of a company keeping pursuant to its articles a branch register in any place outside Malaysia within two months after the annual general meeting. NBC Group offering cheapest ever price for company registration and formation services at only RM1,460 in Petaling Jaya, Malaysia. NBC Group has helped hundreds of our clients for the past 10 years to register a company in Malaysia at RM1,460 only, the lowest, cheapest and No.1 in Petaling Jaya, Malaysia. 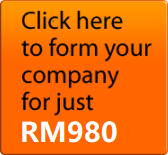 Sdn Bhd Company registration at RM1,460, the best price in Town and has never been so easy and cheaper. NBC Group's services include company registration, company formation, company setup, company secretary, shelf company, setting up new company, company audit, income tax, accounting and book-keeping services.